This course and Kerensa and Brandon are the real deal. 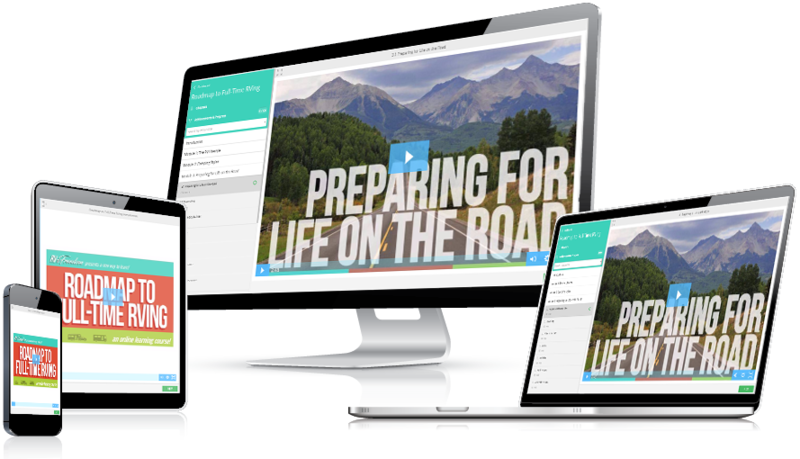 They’ve been living the full-time RV life for years and created a course to help you move your life on the road, too. They’ll walk you through every step needed to make a smooth transition. This is a done-with-you course. They’ll be with you every step of the way in a student-only Facebook group. As they like to say, this isn’t just a course, it’s a community. They’re also having weekly live question and answer sessions to make sure no one is left behind. Detailed maintenance reminder checklist – There are lots of things to maintain on an RV and the timing is different when you’re a full-timer. You won’t fall behind with the checklist. Traveling with pets bonus module- If you will travel with a pet, you’ll want this bonus. 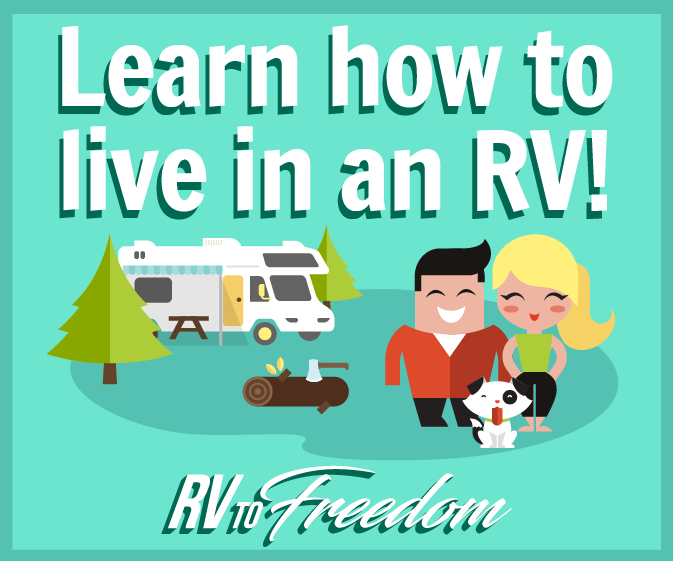 You can learn more about the course and sign up at RV To Freedom. The course is only open for enrollment until Saturday night, so sign up soon!